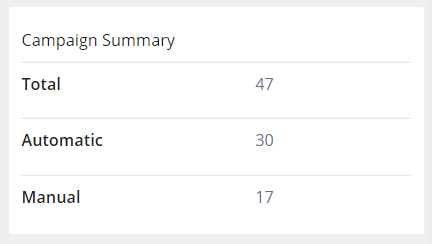 The campaign summary shows the number of keywords in Automatic and Manual Campaigns. For the best results, it is good to start off with at least a minimum of 50 keywords. Narrow down the keyword list repeatedly in each optimization iteration, to remove the underperforming keywords. Increase the bids for the top converting keywords.